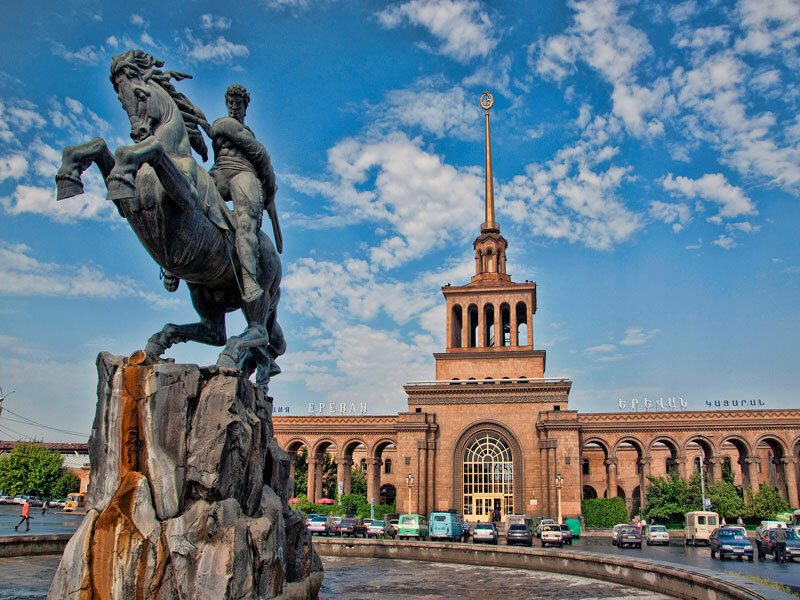 One of the most popular monuments of Yerevan is a monument to David of Sasun, which was established in 1959 on the station square. This unique stone creation is the work of the famous sculptor Ervand Kochar, who portrayed the hero on his heroic horse in readiness to attack with a sword. 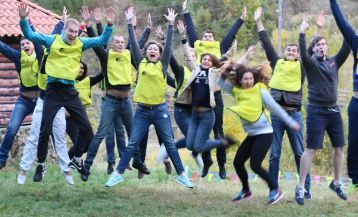 David Sasusnky is the hero of the medieval Armenian epic, which was formed in VII-XII centuries and tells the story of the Sasun heroes who struggled against the Arab invaders. About four years ago, the epic was included in the UNESCO list of intangible heritage. The monument welcomes all the guests who arrive from neighboring countries by train and is a true symbol of the city. Aram Khachaturyan is one of the most talented and beloved Armenian composers of the XXth century, whose music is well known and loved not only at the motherland but also in many parts of the world. His works have been performed on the best world stages, broadcast on the radio, television and in movies. One of his most famous works is “The sabre dance” due to which the composer got a nickname – “Mr. Sabre Dance”. 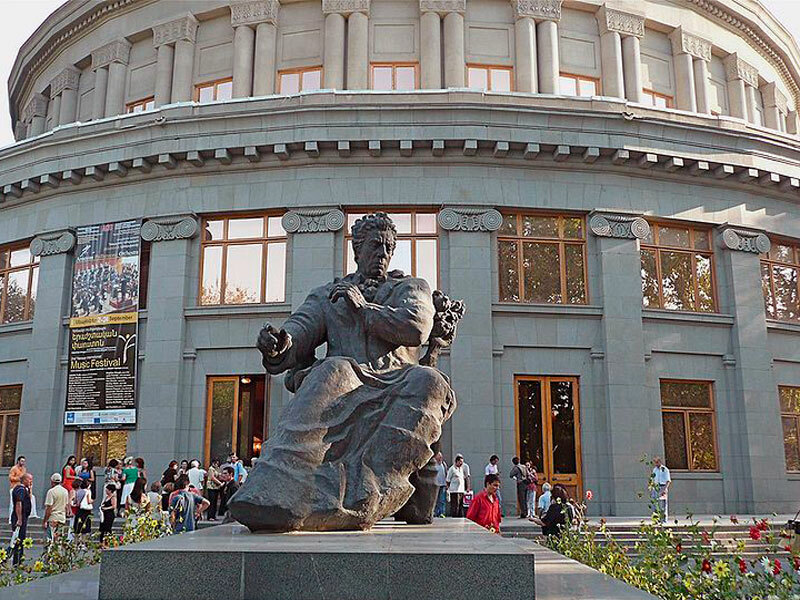 The monument to Khachaturyan is located in front of the famous building of Opera and Ballet Theatre. Arno Babajanyan is an Armenian composer and pianist, national artist of Armenia and the USSR, two-time winner of the State Prize of Armenia and just a wonderful person, so beloved among the Armenians. Its bright optimistic songs expressed the deepest human emotions. 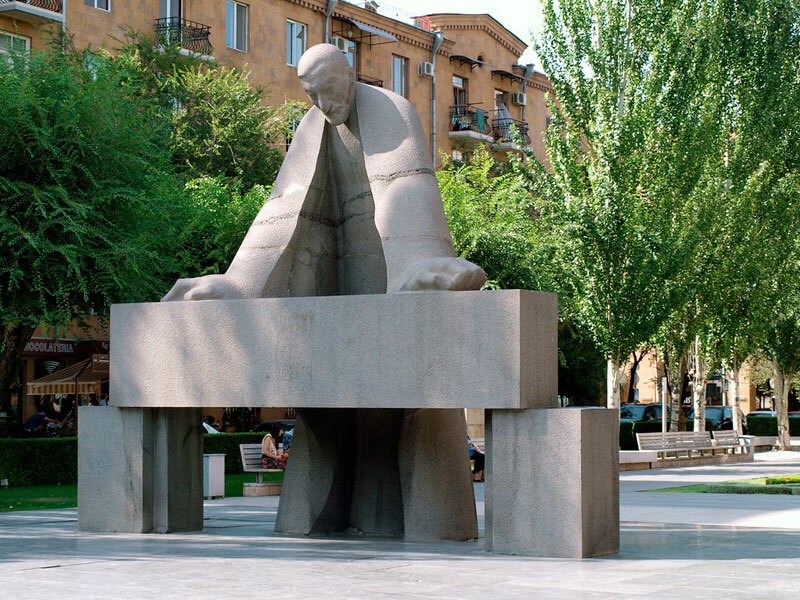 The monument to Babajanyan was established in 2003 not far from the Opera and Ballet Theatre near the Swan Lake. The sculptor tried to portray the maestro exactly as “great Arno” was – in an impulse of inspiration and expression. Many people like the monument, while others believe that it is more like a fun caricature, for some it was even the subject of dissatisfied discussions. The fact is that the composer is portrayed with a very large nose, short legs and implausible long arms. But the creators had a special idea: they wanted to emphasize the unusual creative Arno’s nature, his emotionality and expressivity. Alexander Tamanyan is the greatest architect of Armenia. 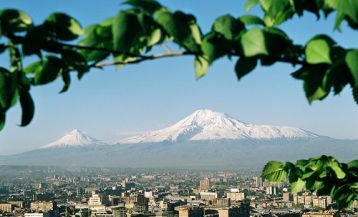 It is he who developed the plan of modern Yerevan, as well as the plans of Gyumri, Echmiadzin and other towns of Armenia. His works can also be met in Moscow, St. Petersburg, Yaroslavl. The architect is also the author of many beautiful buildings of the capital, among which the best known are the building of Opera and Ballet Theatre, as well as the House of the RA Government. The monument to Alexander Tamanyan was established in 1974 in the city center opposite the Cascade. Near the metro station “Yeritasardakan”, in a very beautiful avenue, you will see an interesting sculpture that represents two hands. 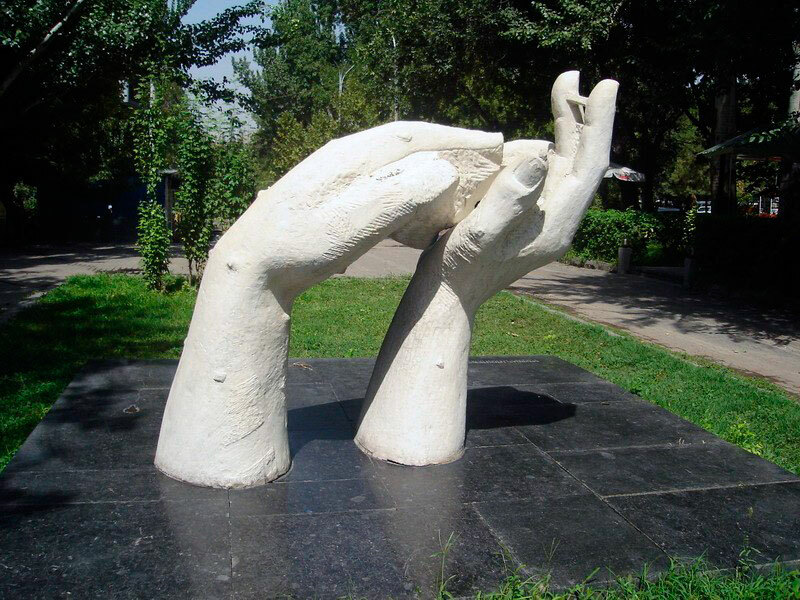 The sculpture symbolizes the friendship between Italian city of Carrara and Yerevan. 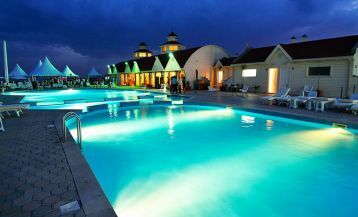 Now this place is a favorite meeting place for Yerevan residents. Usually, they just tell each other “let’s meet at the hands”, and everyone at once understands whih place is meant. 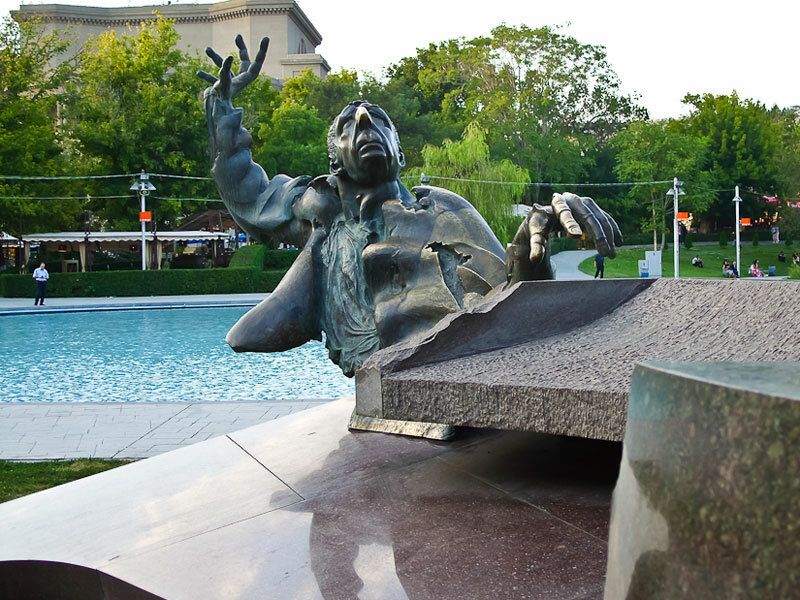 This sculpture is probably the most touching in Yerevan. 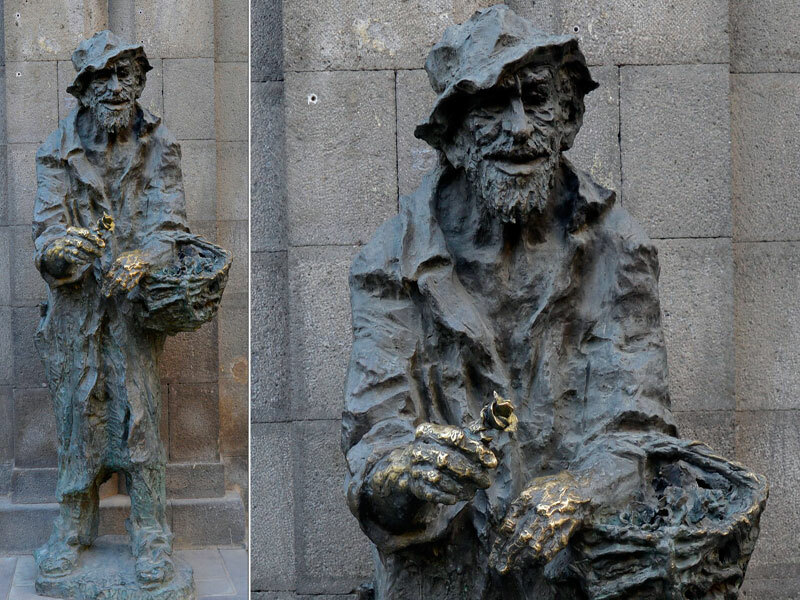 The bronze old man stands on Abovyan street with a basket of flowers in his hand, and the flowers are always real! In Yerevan in 50-ies of the XXth century, indeed lived such a man, and he had a nickname Karabala (“a black boy). He was born in a wealthy family, but after the establishment of Soviet power, his family lost all the fortune. Karabala was walking along the streets selling flowers, and he usually gave them to girls for free. Therefore, he always remained poor, and always wore a black dress. It is said that he was walking on the street, where the monument stands now. In 1972, the Armenian director Edmond Keosayan made a wonderful film “The men.” In the center of the story – the sufferings of a shy and humble man Aram, hopelessly in love with a beautiful woman Karine, who pays no attention to him. Seeing the difficult situation of Aram, his three close friends, using all their ingenuity, try in every way to help and make the beautiful woman pay attention to Aram. 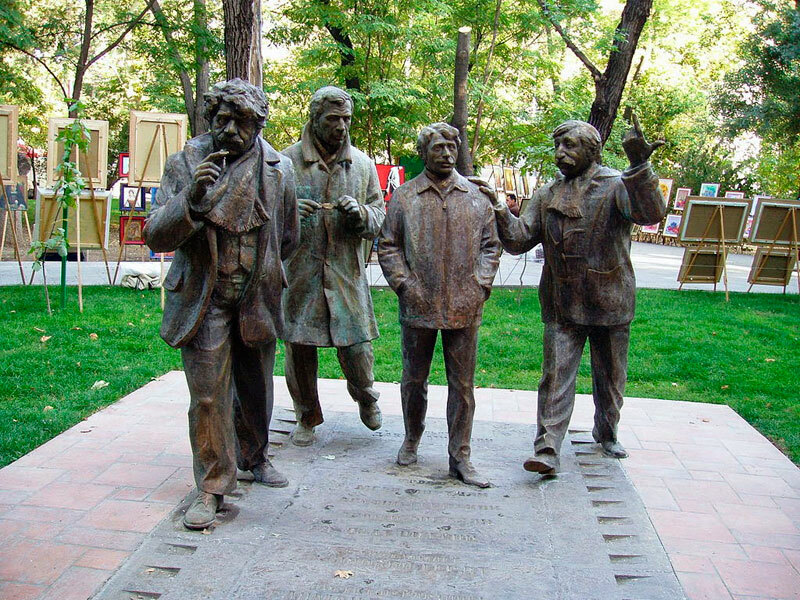 Not so long ago the sons of the director Tigran and David Keosoyans took the initiative to create this sculpture, and so appeared the well-known and much-loved sculpture “The men,” which depicts the final scene of the film when four friends Vazgen (Azat Sherents), Suren (Frunzik Mkrtchyan) Aram (Avetik Gevorkyan) and Saqo (Armen Ayvazian) are walking together. Our travel agents will get back to you the soonest. If you don’t receive an email from us within 24 hours please check your Spam Box.